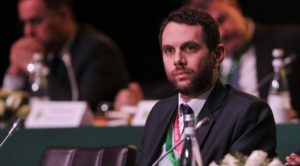 The Confederation of African Football (CAF) sacked its General Secretary, Amr Fahmy, after the Egyptian accused his boss Ahmad Ahmad of bribes and misuse of hundreds of thousands of dollars, according to officials and an internal document. Sabine Seillier, president of Tactical Steel, said her company won the contract with CAF because it was the only group that could guarantee delivery of the equipment sought in a tight time frame of three weeks. The CAF case is potentially problematic for FIFA President, Gianni Infantino -- set to be re-elected unopposed in June for a four-year term -- as Ahmad is one of his deputies.